Two years ago, Zach Schreiber correctly predicted the epic oil crash. Now he's warning of a looming financial disaster in Saudi Arabia. When Schreiber speaks, people sit up and pay attention. His 2014 prophesy reportedly led to a $1 billion profit for his firm. "If you're long, I'm sorry for you," the CEO of hedge fund PointState Capital said when he made the bet two years ago and oil was over $100 a barrel. Oil's eventual crash to as low as $26 a barrel this past February has created headaches for Saudi Arabia and other countries that rely on oil to make their budgets. Saudi Arabia has already slashed spending and is racing to raise cash. 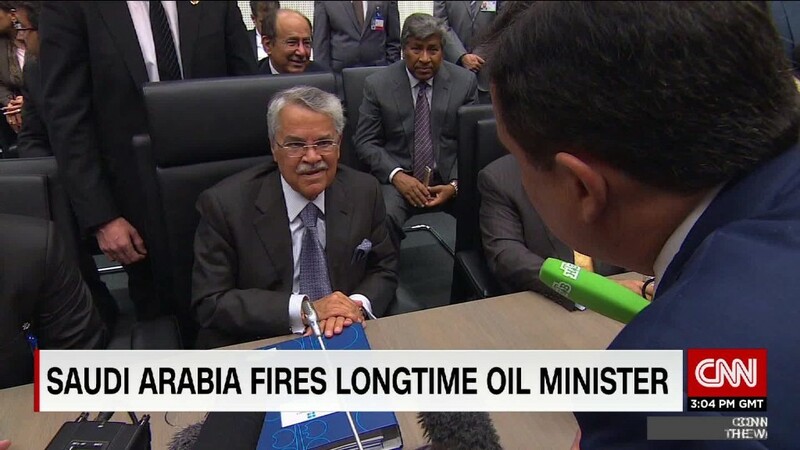 This past weekend, the country fired its longtime oil minister. Schreiber believes things are about to get a lot worse. "Saudi has two to three years of runway before it hits a wall," Schreiber said at the 21st Annual Sohn Investment Conference last week, returning to the scene of his 2014 oil call. Schreiber predicted Saudi Arabia will be "structurally insolvent" by that point because it faces the twin threats of huge spending commitments and cheap oil. After years of raking in huge sums of oil money, these days Saudi Arabia is pulling out all the stops to raise cash. The kingdom is reportedly planning to take out a $10 billion loan from a group of banks, possibly paving the way for its first international bond sale. The problem is Saudi Arabia needs oil prices at over $100 a barrel to break even on its budget. The kingdom spends heavily on perks for its huge population of nearly 30 million. Now it's being forced to reverse some of those gifts, as highlighted by the recent 50% gas price hike. Saudi Arabia's "lavish social spending program is on a collision course" with cheap oil, Schreiber said. The kingdom also has a massive military budget that reflects the tough neighborhood in the Middle East it lives in, ongoing rivalry with Iran and the threat of civil uprising. Still, the Saudis cut their defense spending by 3.6% this year amid the oil crash. "Saudi is the last bastion of stability, but they hold that position at ever-expanding salary cost," Schreiber said. Saudi Arabia's central bank is sitting on almost $600 billion -- a massive rainy day fund that is helping it cope with the financial storm. But the Saudis have burned through $140 billion between the end of 2014 and February. The IMF too recently warned the Saudis could eventually run out of cash. And Schreiber argues that Saudi Arabia's balance sheet is "overstated and misunderstood." He points to nearly $340 billion of liabilities that minimize the size of that rainy day fund. These concerns may help explain why the Saudis are planning to sell off a 5% stake in the country's crown jewel: state-owned oil behemoth Aramco. "If they sell the golden goose, how do they fund anything? It's insane. Saudi is mortgaging away its future to buy time," said Schreiber. At the same time, Schreiber is bearish on oil prices in the medium to long-term. He pointed to the risk the U.S. dollar regains strength, making commodities like oil that trade in dollars more expensive for overseas buyers. Schreiber also cited the rising popularity of electric cars and the "explosion of debt" in China that is unsustainable and poses a threat to future demand. All of this explains why Schreiber is telling people to buy the U.S. dollar while "shorting," or betting against, the Saudi riyal. The kingdom's currency is pegged to the dollar but Schreiber thinks it will have to repeg it at a lower value to help deal with these ongoing financial headaches.